When I wrote about running in a Saturday newsletter and asked how people came to love it, I didn’t actually expect responses, but the ones I got were great. They ranged from “Some people are born with great bodies, others with dad bods. That’s why we run” to a running shop’s suggestion that I sign up for a running class. Despite the fact that I often feel clumsy and have to ice my shins after attempting to run, I still want to be a runner. If you have the same feeling, here are a few races that may actually give you that last bit of motivation you need to finally lace up your sneakers and hit the pavement more than once (wine run, anyone?). Run & Ride Carowinds – September 10 and 11 – Run a 5K or half marathon through Carowinds and celebrate your victory by riding rides all day. $35-$150 depending on the package you select (some include day passes, others don’t) and includes a medal, park pass, bib, t-shirt and free parking. Prices will increase soon. Register. 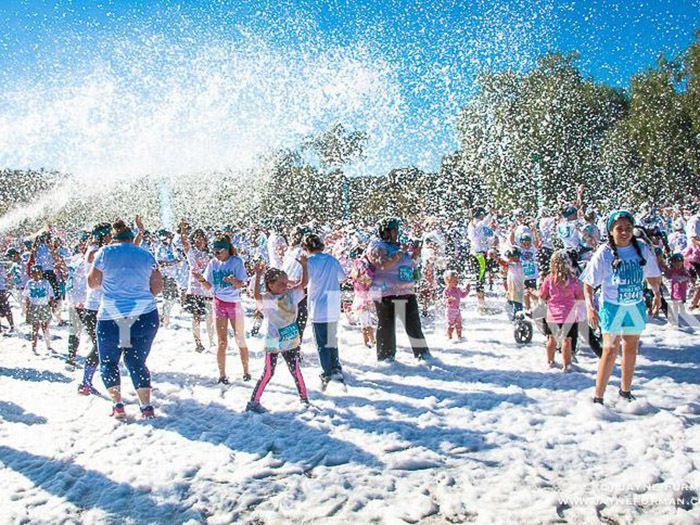 Bubble RUN – September 10, 8 a.m. – Wear a white t-shirt to “run, walk, dance and play” through 3 miles of colored Foam Bogs to the finish line with DJs and more foam at Charlotte Motor Speedway. Registration is $20 through August 31 and $50 and includes admission, t-shirt, headband, tattoo and bib. Register. Sundae Run – September 10, 9 a.m. – Finishing the 5K or Fun Run (walking is acceptable, too) gets you access to a gourmet sundae bar with unlimited toppings and classic summer games. The course winds from Carmel Middle School through surrounding neighborhoods before looping back again. Registration ($25-30 for the 5K, $10-15 for the Fun Run) extends through Race Day. Register. D9 Tap & Run – September 15, 7 p.m. – This sounds awful, but okay: D9 Brewing and Omega Sports is putting together an event in which runners run a mile while drinking two beers. The first team to complete two miles and finish four beers wins. $10. Register. C2 Survival Race – September 17, 8 a.m. – Take on a 3+ mile extreme terrain trail complete with both obstacles and physical challenges along the course. When you’ve survived to tell the tale, hang out after for family activities. Registration is $50 through race day for participants 10 and over, $30 for ages 5-14. Register. Mud Run – September 17, 9 a.m. – Join Young Life at the Whitewater Center for a 4.5- or 2.5-mile course with physical challenges and obstacles, namely mud. $45. Register. 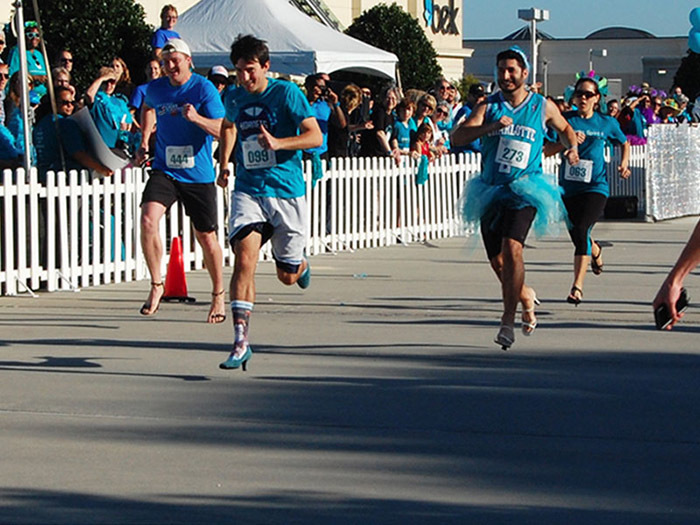 Stiletto Sprint – September 17, 9 a.m. – Get your finest heels ready for the first annual Stiletto Sprint, a 100-yard dash whose proceeds benefit the Carolinas Ovarian Cancer Research Fund at Blumenthal Cancer Center. Sprinters will compete at SouthPark Mall in heats before moving on to the final round. 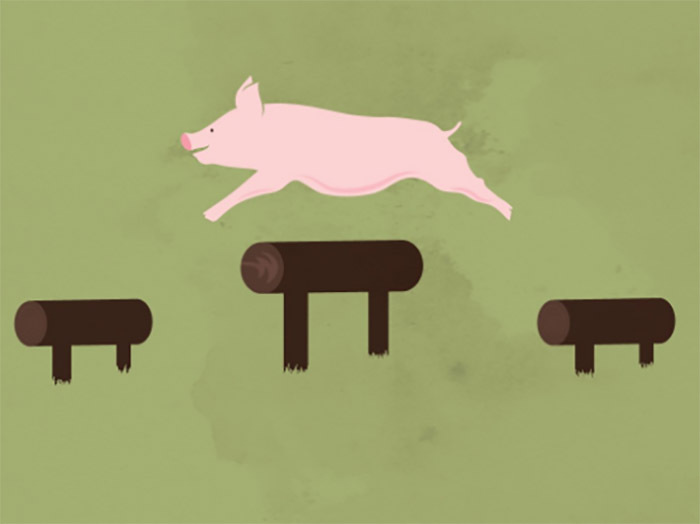 To be eligible for a top finisher award, your heels must be a minimum of 2.5″ with a slim heel. Wedges don’t count, and if you’re more into flats or sneakers, you can walk the dash in a non-competitive heat. Registration ($25-30 through race day) gets you a bib, t-shirt and goodie bag that includes a $25 Belk gift card. Register. South End Shuffle – September 17, 5 p.m. – Both the 5K and Fun Run will start at end on Summit Road in front of Wooden Robot Brewery. The 5K will wind through the Rail Trail and back again. Both will be followed by live music and beer. People can register solo or compete in 3-person teams ($25-$35 for the 5K, $10-$15 for the Fun Run through race day). Register. 9th Annual Isabella Santos Foundation 5K/10K for Kids’ Cancer – September 24, 8 a.m. – As per tradition, participants in this race wear everything purple in support of finding a cure for pediatric cancer: Knee-high socks, tutus, wigs and faces. Expect food, kids’ activities, a DJ and silent auction with vacation packages, event tickets and gift cards after you cross the finish line. Registration is $40-45 for 10K, $30-$35 for 5K, $20-$25 for Family Fun Run through race day. Register. Dirty Dozen Obstacle Trail Race – October 8, 7:30 a.m. – Get through 12 obstacles in 12 kilometers (or 5K if you’re looking for something shorter) on Whitewater Center trails. Almost a mud run, but not completely – wear an old shirt. When you’ve finished, head to Fall Finale for cider sampling and live music. Registration is $35-$70 through race day, but you’re only guaranteed a t-shirt if you’re registered by October 2. Register. Rescue Me 5K – October 15, 9 a.m. – Pit Bull (and, in general, dog) lovers, this one’s for you. After a 5K through McAlpine Creek Park with your dog by your side, hang out for things like a Halloween Costume Contest and adoption opportunities. All proceeds benefit Operation Sidekick, which trains rescued Pits to be service dogs for veterans with PTSD and depression. Registration is $30-$35 through race day. Register. Rocktoberfest Half Marathon & 5-Miler – October 15, 7:40 a.m. – Start on Charlottetowne Avenue and finish at Independence Park with over 6 entertainment locations along the route. Once you cross the finish line, hang out and listen to cover band Perfect Strangers while enjoying food and drink. Registration is $30-$90 with no race day registration and includes a t-shirt and medal. Register. The Ultimate Wine Run – October 15, 4:30 p.m. – Bring this meme to life at BB&T Ballpark with stops along the way at dance floors, DJs and food trucks. 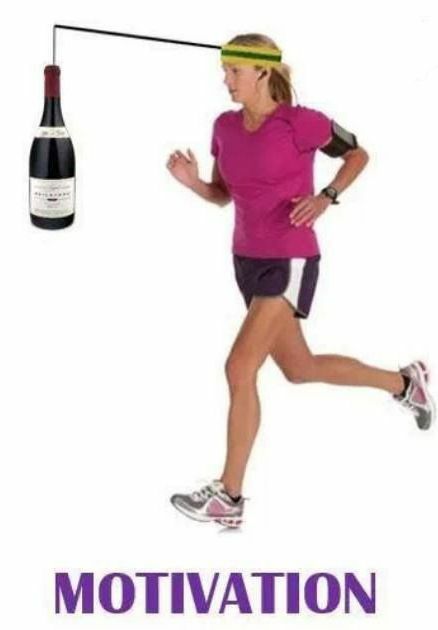 If you’re not into running, sign up for the Wine 1K Tasting Walk. Brilliant. Registration is $19-$50 before race day ($70 day of) and includes a t-shirt, medal and souvenir glass complete with a 5-ounce pour. Register. Big South 5K Road Race – October 22, 8 a.m. – One of the fastest 5Ks in the South, the race starts and finishes at Blakeney Shopping Center, where runners can stick around for a finish line party that includes music, food, games and local vendors. Registration ($20-$30 through race day) includes goodie bags, coupons, samples and giveaways from sponsors. Register. Rock n’ Read 5K – October 22, 8 a.m. – Show how much the library can do for the city in this 5K that starts and ends at the Plaza Midwood library. Celebrate with live entertainment at every mile marker and a party complete with local beer, mimosas and live music after the finish line. Registration is $5-$25 through race day. Register. The Great Amazing Race – October 22, 3 p.m. – Grab a friend and compete in this two-person team obstacle course competition. The course is made up of one mile filled with eight challenges like relays and and games. Be prepared to get muddy and wet and to spend an hour on the course, rain or shine. Open to “pee wees [all the way to] grandparents.” Only 100 teams are accepted, so register soon. $38-$60 through race day, depending on team size. Details and register. Costumes & Candy 5K – October 29, 7:30 a.m. – What might be the “toughest neighborhood race” in town because of its hills is adding a sense of humor with a Halloween-themed run through the Mad Park 5K route. Registration ($35 through October 28) includes a t-shirt (before October 1). All proceeds benefit the Leukemia & Lymphoma Society. Register. Hero Run 5K & 1K Fun Run – October 29, 8 a.m. – Runners will run in their finest hero garb through South Park to honor our armed forces. Registration ($30-$40 through race day for the 5K, $10-$20 through race day for the 1K) includes a t-shirt before September 29. Register. Runway 5K Run – October 29, 8:10 a.m. – Run the airport’s taxiways while planes take off and land all around you. Both wheelchair- and stroller-friendly. Registration is $25 until October 18, when the price will jump to $30, and proceeds benefit LIFESPAN’s LIFEWORKS programs to provide employment to adults with developmental disabilities. Register. 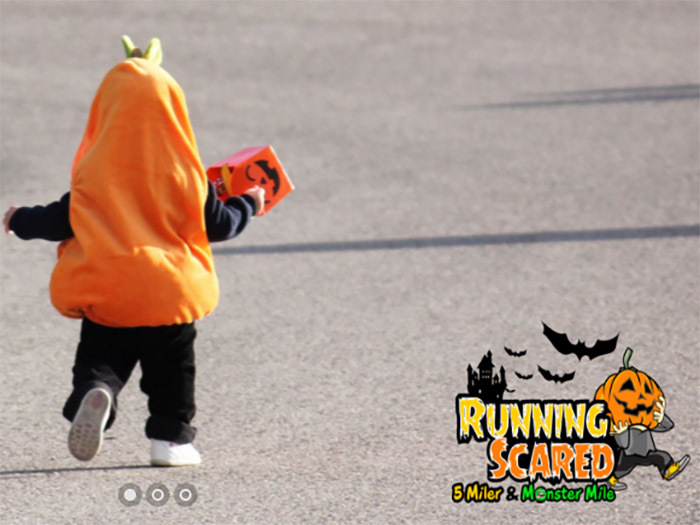 Running Scared 5 Miler and Monster Mile – October 29, 9 a.m. – Starting and ending at Romare Bearden Park, runners will have the choice to run a 5-mile or 1-mile course through spooky surprises scattered throughout Uptown in their halloween costumes. Past costumes have included bananas, superheroes, zombies and beer bottles. Enjoy a finishing party complete with a costume contest, face painting, bouncy houses, food trucks, pumpkin beer, cider and live music. $35 for the 5-mile race, $20 for the mile. Register. Escape from Cuthbertson Zombie Run – October 29, 5 p.m. – Run for your life on a wooded trail run while zombies steal your health flags. $25-$40 through race day. If you register by October 5, you get a t-shirt. Register. 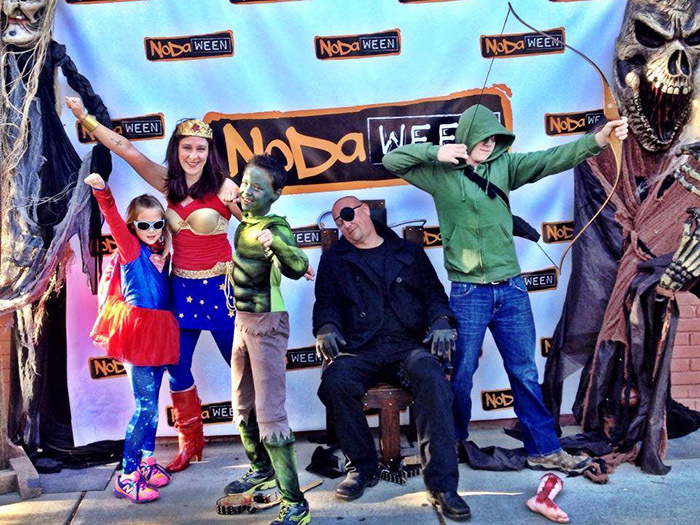 NoDaWeen Freaky 5K – October 29, 5:30 p.m. – Take on the course that starts and ends on North Brevard Street in your Halloween costume and celebrate finishing with a block party that includes beer, food, vendors and a t-shirt contest. Awards include best costume, best group costume and best overall. If you’ve got kids, KiDaWeen starts at 1 p.m. $25-$35 through race day. Register. 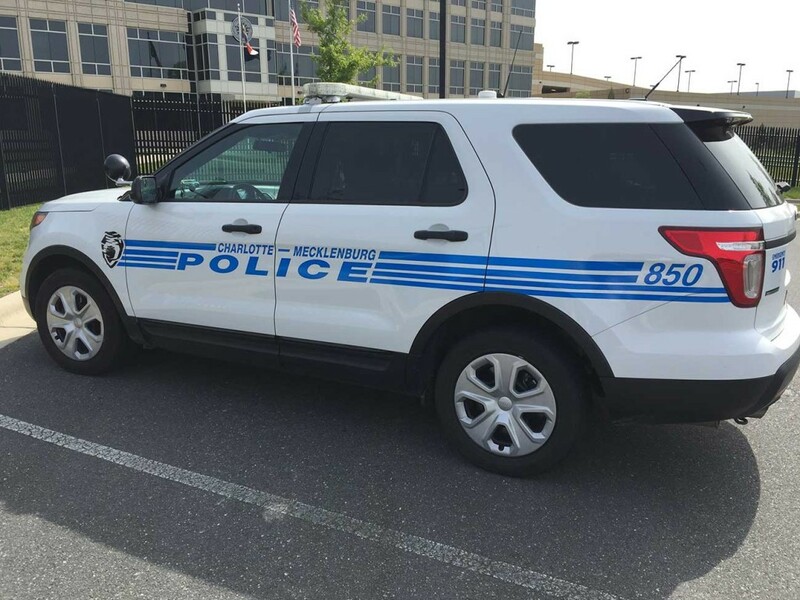 The Charlotte Costume Dash 5K – October 29, 5:30 p.m. – Costumed runners will start and finish at Inside Out Sports on South Church Street and follow it up with a bar crawl, costume contest and prizes. Registration ($35-$45 through October 26) gets you a race bib, finisher medal and entry to the bar crawl. Register (the award for the cutest website goes to…). 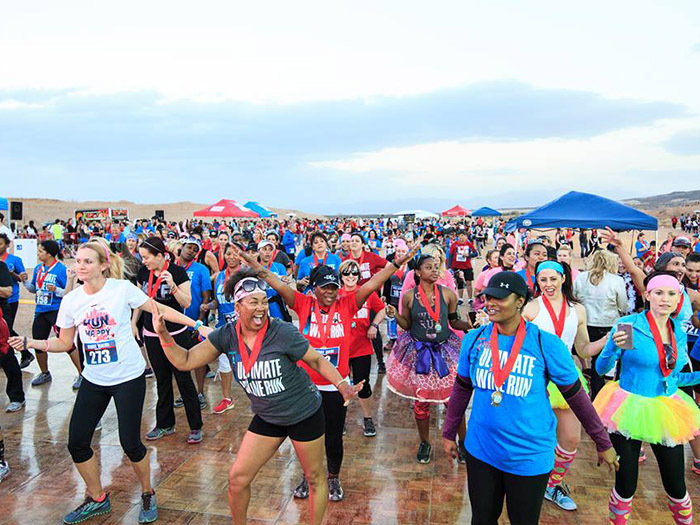 7th Annual Rhythm & Roots 5K and 10K – November 5, 8 a.m. – This run was named as one not to miss by Runner’s World for its run through Sunset Cemetery, food, prizes and live music. It takes place at the Earl Scruggs Center, so you know that means that there will be plenty of live bluegrass and live bands playing “Foggy Mountain Breakdown” along the route. Registration ($25 for the 5K, $30 for the 10K) gets you a t-shirt and 50% off admission to the Earl Scruggs Center during race weekend. Register. 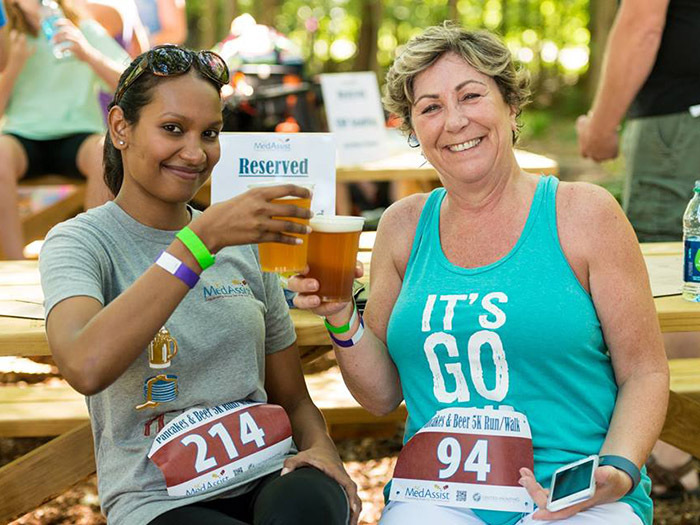 Pancakes & Beer 5K Run/Walk – November 5, 9 a.m. – This race starts and ends at Sycamore Brewing with a total ascent of just over 72 feet and benefits NC MedAssist, a non-profit pharmacy for those in need of critical medications. The race is family, wheelchair and dog-friendly. Registration ($25-$35 through race day) gets you a free pancake and bacon breakfast from Sauceman’s BBQ, a t-shirt and pint of beer (first 100 registrants only). Beer and wine will also be available for purchase. Earn $300 in donations and get all-you-can-drink beer, no wait at the breakfast line, a coffee station and entry into a VIP drawing. Register. 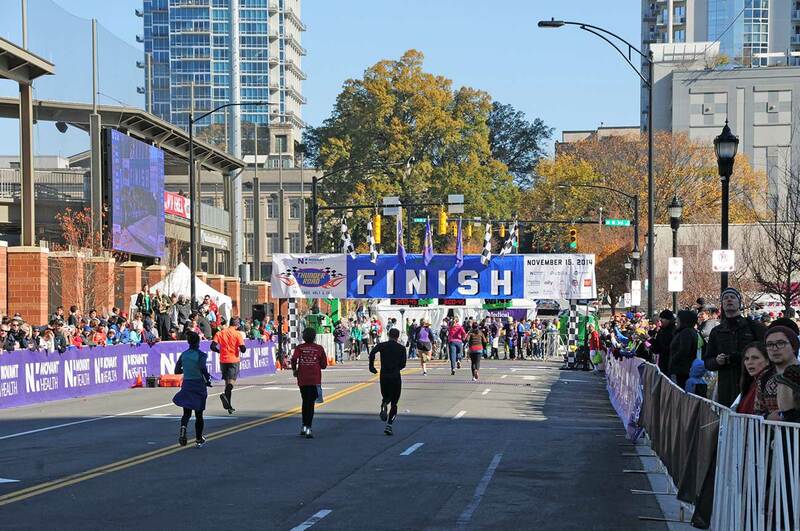 Novant Health Charlotte Marathon – November 12, 7:30 a.m. – Charlotte’s signature marathon, with half-marathon, relay and 5K options. $45 for the 5K and $115 for the full. Details. 2016 Run Run Rudolph 5K/10K – December 3, 8 a.m. – Get in the holiday spirit and run through the University Research Park in your finest Christmas attire (ugly sweaters very much recommended). The best dressed participants will win a $50 Run for Your Life gift card. Registration for the 5K is $20-$30 through race day and $30-$40 through race day for the 10K and includes a long-sleeved t-shirt. Register.